Desai & Diwanji Delhi partner Amit Khansaheb, who had been with the firm for 18 years, has joined BMR Legal – the legal services arm of consultancy firm BMR Advisors – as a partner in order to ramp up the firm’s M&A and private equity legal practice. Khansaheb, who had set up Desai & Diwanji’s Delhi office, said: “For me it’s an exciting opportunity and I’ve been working with BMR for a number of years. It was basically an extremely smooth transition. His joining will grow the size of BMR Legal’s partnership to five and several Desai & Diwanji associates are expected to join, although Khansaheb would not confirm the precise number. 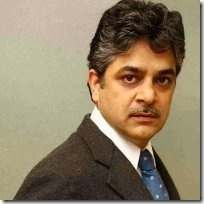 BMR Advisors chairman and co-founder Mukesh Butani continues as the law firm’s managing partner. Khansaheb explained that while the firm was part of the BMR group, only lawyers were partners in BMR Legal. “We are a legally independent entity – I can’t actually join BMR Advisors,” he explained. Managing partner Butani is qualified as a lawyer and accountant and set up BMR in 2004, after having been a partner at Big Four accountancy firms Ernst & Young and the now defunct Arthur Andersen. He started up BMR Legal nearly three years ago. Butani was not reachable for comment at the time of going to press but in a press release issued to legal website Bar & Bench, which first reported the move, he said that having Khansaheb on board “will enable the firm to expand its tentacles, and deepen our capabilities to build a stronger franchise and expertise in our business dealings”. BMR Advisors now has 28 partners and according to a press release, “BMR is a professional services firm offering a range of tax, M&A and risk advisory services for domestic and global businesses of all sizes”. In July 2012, the Society of Indian Law Firms (SILF) resolved that many accountancy firms were providing legal advice to clients in violation of the Advocates Act and a Supreme Court’s decision on the practice of law in India by foreign firms. In 2011 around 35 lawyers were based in Desai & Diwanji’s Gurgaon office, with the corporate practice headed up by Khansaheb and four associate partners, with one associate partner specialising in litigation from central Delhi. Desai & Diwanji was not available for comment at the time of going to press. Great loss to D&D...appears it truly is a sinking ship ! D&D is a Mumbai based firm, always has been and alawys will be. It survives thanks to the marketing and contacts of its Mumbai partners. Amit leaving may be a shock but it will leave but a little dent for D&D. If a Mumbai partner moves out then it will be time to worry and start thinking about sinking ships. Grapevine suggests that Amit was much better in terms of revenue generation than many of the Mumbai partners. Therefore, your comment does not make lot of sense. However, Vishwang, Apurva, Jai and Vihang are class apart. LI's reporting is far better than Bar & Bench. All the best to Amit and his team. "I’ll be essentially ... establishing the corporate M&A ... business [at BMR] basically"
I have always been amused when people use essentially and basically too often and in every sentence. Titanic is right. Its a setback for D&D, but I am sure it will survive and again be no.1 in the upcoming Deal rankings. Is Madhavan joining BMR as well ? R. Madhavan - the film actor. In addition to D&D the impact would also be felt by firms who were getting a lot of M&A work from BMR; all the legal work would now be handled in-house. Good for the clients though. Did Amit get equity in D&D? Or just a salaried partner. Let me respond to your question with another question. If he was an equity partner in D&D which rankings list as no 1 in number of deals, would he leave for a firm which is nowhere in the rankings? Think. the delhi office only survived on mumbai's backing. the new crop will not be able manage as none of them are partner material. lawfirm to accounting lawfirm is not an intelligent move but then one cannot overlook money these days even if it means leaving the organisation one help started. with this move both the delhi office and amit's legal career will suffer drastically. @Equity : Amit got preference in D&D. Not equity. Amit was the most charismatic partner of DnD...he used to treat his associates really well...BMR gains one gem..DnD's attrition rate is very high..n now its spread to the partners as well...soon we will hear Anoj n Vihang also moving out...no equity outside family...this is what happens..!!! Kian: How come LI does not feel the need to edit this comment? D&D Delhi was started by 2 partners who moved from Bombay. First Dheeraj Malhotra leaves to start M Partnes and now Amit Khansaheb. Looks as if there is something really wrong with D&D atleast with Delhi!!!! Why is D&D silent about this significant development???? Y are they shying away from making a comment. Wud hv been a good gesture on the part of the Desais and Diwanjis to come out and congratulate Amit and say life moves on. Someone shud awaken D&D (atleast wat is left of it in Delhi) out of the state of shock they seem to be in.... Best wishes to Amit and also to D&D. It is people like you, (i.e. a person hiding behind anonymity while dishing a good name and a good person) that give the government some validity to censor social networking. If you are going to be negative about a professional then at least have the character to do do under your name.